This Company Is Putting Together One of the Wildest (and Tastiest) Flights in the World! Some might call this a dream come true, others might worry about the availability and proximity of the bathroom. Either way, I’m intrigued by BrewDog, the craft beer network that recently expanded to where no other brewery has thought venture – the sky. Yep, it’s true. So if you want to use miles or points to book a flight you’ll need to use a card like the Capital One® Venture® Rewards Credit Card and redeem Venture miles to erase the cost of a ticket. 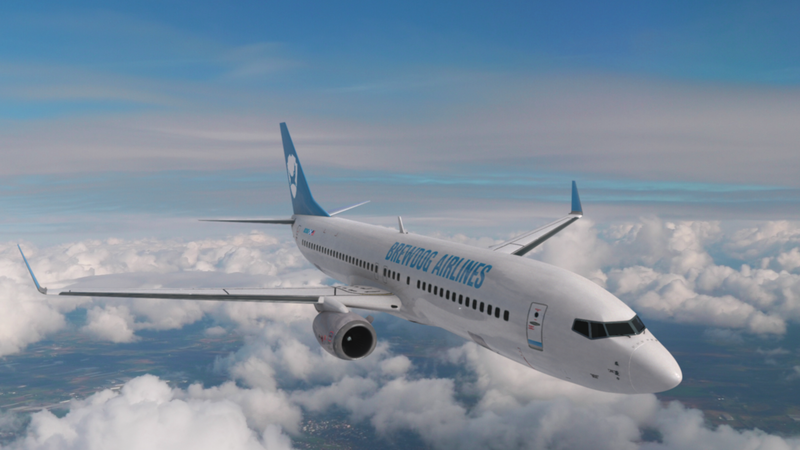 A True Novelty for Beer Lovers – Drink Up on BrewDog Airlines! BrewDog gained national fame in 2008 for brewing “the UK’s strongest beer ever,” famously named Tokyo. They’ve been growing at a rapid rate ever since, expanding their operation from just 2 founders to a team of more than 1,000 employees in 2018. In the course of the last 10 years they’ve built their business up from a small operation to an entire craft network that includes multiple bars and brewhouses and a crowd-funded craft brew hotel! BrewDog, who fondly calls their shareholders and venture capital partners “equity punks” has often referred to this group as the lifeblood of their business. As with any privately held company, the shareholders are indeed essential to the success of a business and BrewDog likes to celebrate that. BrewDog is a bit unique in that it has truly focused on crowdfunding to propel their business and they’ve found creative ways to offer thanks to those who have participated. BrewDog airlines is perhaps their biggest round of applause to those who have supported their mission. Mock-Pilots Explain the Rules of Flying on BrewDog Airlines – Buckle up and Make Sure Your Glass Is Full! BrewDog airlines offers a chance for equity partners to book a flight from London to Columbus, Ohio for a 4-day beer-centric experience. The flight will depart from London Stanstead on February 21, 2019, and return from Columbus, Ohio on February 25, 2019. During the 4 days in Columbus, participants will stay in BrewDog’s hotel and tour various sites around town. Mostly, this seems like a way for fellow beer lovers to connect with one another and with the brand that they have been supporting. Tickets will cover the round-trip flight, accommodation at the BrewDog hotel, and all excursions around Columbus. In-flight amenities include sampling a brand new BrewDog beer, a tasting menu designed specifically for beer pairing, a BrewDog blanket and eye mask (which are key for napping after a nice meal and a tasty beer). Personally, I like the novelty of this. It’s fun, and it’s a great way to meet fellow beer aficionados who enjoy travel as well. What will BrewDog think of next? You might go so far as to say that the sky is actually not the limit…cheers to that! Would you enjoy a flight on BrewDog Airlines? Let me know your thoughts in the comments section below. Sounds cool, but I always thought even good beer tastes pretty bad up in the air. The carbonation gets funky. I’ve never really noticed a difference, although that could just be a testament to how horrible my taste buds are.